You've decided to buy a made in USA car, truck, or SUV. First, thank you for investing in America and American workers. But, now comes the hard part: finding one. 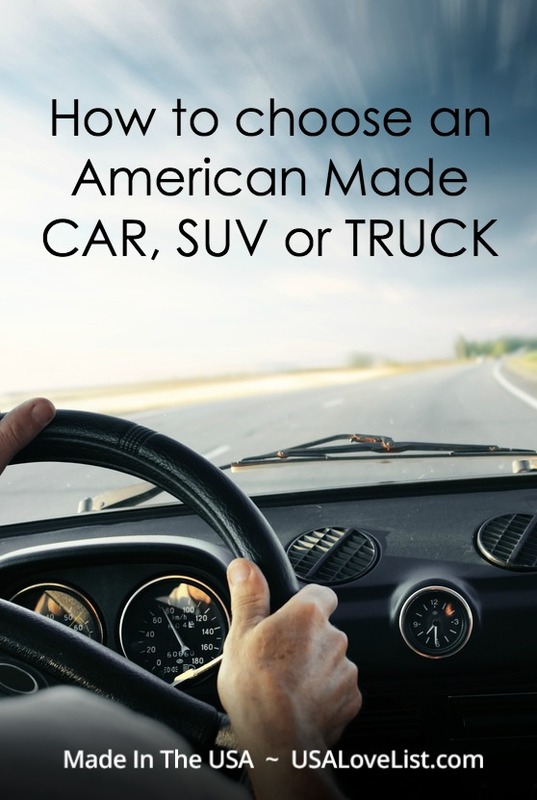 This guide will help you navigate a complicated category: American Made Cars, SUV's & Trucks. Manufacturing in the USA has changed a lot since the days of Henry Ford and his famous saying, “Any customer can have a car painted any color that he wants so long as it is black.” In the 21st century, you can have any color you want, but there's a good chance it's not made in America. With offshoring, nearshoring, and reshoring factories, trying to learn where a vehicle is made is a lot harder than reading the label. Topping the other finalists, General Motors' former CEO and President Alfred P. Sloan, Jr., IBM's Thomas J. Watson, and Bill Gates, the founder of Microsoft, Henry Ford was named the most successful businessperson of the twentieth century by Fortune Magazine in 1999. He didn't win this prestigious award for his automobile designs, and he wasn't the first to build an efficient vehicle or make a profit selling them. 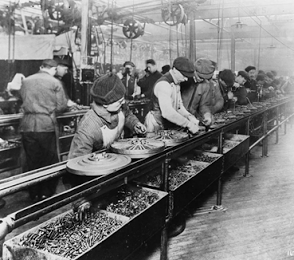 Instead, Ford's success rose from his mass production techniques. His legacy wasn't as much from the Model-T as you would think. Instead, it came from how quickly and efficiently they went from the assembly line and onto new roads and in front of homes and businesses across the country. Mass production of automobiles created jobs across a wide range of sectors and over the past 100 years became a vital part of the U.S. economy. What can be said about Ford is a bit ironic: the boost in the economy, use of the assembly line around the world, and significant improvements in long-distance transportation are what lead to the decline in the number of vehicles that were all American. Today, the U.S. doesn't have a single automobile that's entirely made in America with all American-made products. When was the last car produced that was 100 percent made in the U.S.A.? 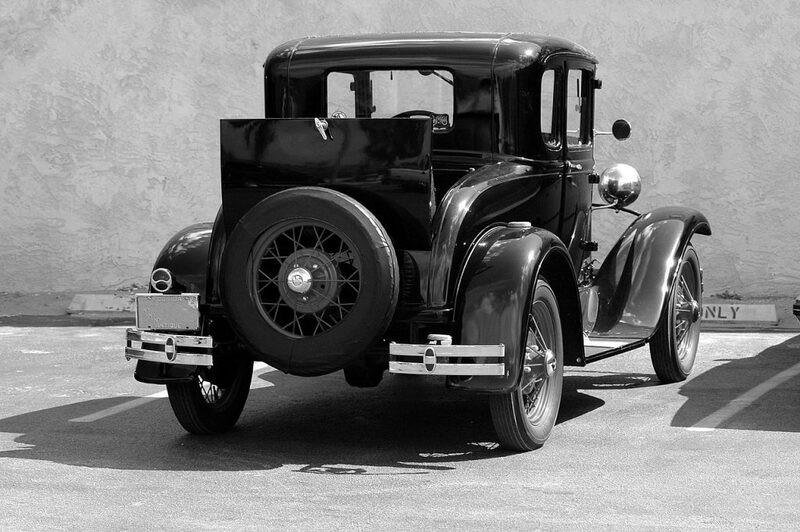 It might have been the Model T.
However, even as the number of all American vehicles in the U.S. has decreased significantly since the early days of Ford and General Motors, the industry still directly employs more than 1.5 million American workers and more than 5.5 million indirectly. Yes, to throw another wrench into the process, there are a few foreign manufacturers working on American soil. BMW, Honda, Hyundai, Mercedes-Benz, and Toyota build their U.S. models here. In fact, Honda was the first of the Japanese automakers to build a plant in the U.S. in 1979. Toyota and Nissan followed, opening their first factories here in the 1980s. Just as American companies shipped factories overseas to sell products exclusively in those regions to save money on transporting goods, tariffs, and taxes, foreign automakers pay less in operating costs on U.S. soil. Does that make them American made? Sure, they employ Americans, pay U.S. taxes, and purchase supplies made in the U.S. But, at the end of the day, most foreign automakers send the company's profits to their home country. While they contribute to the U.S. economy, most can't compete with the benefits that an American company building and selling passenger vehicles in the U.S. offers to America's economy. 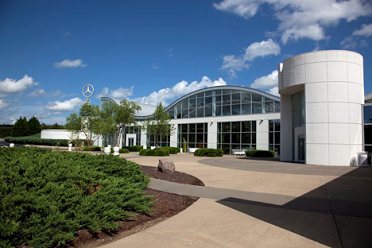 The Mercedes-Benz Visitor Center offers plant tours in Tuscaloosa County, Alabama. The Mercedes Benz C-Class was ranked second on the 2017 AALA. The Kogod School of Business's method limits the number of points that companies with headquarters outside the country can earn on their Made in America Auto Index. As with many situations, there are exceptions. Toyota and Honda, despite being foreign corporations, have U.S. headquarters. Another exception is Jeep, which is a subsidiary of Fiat Chrysler Automobiles (FCA.) It gets a free pass on the American Made list because Chrysler's global headquarters is still in Michigan. Only the Kogod method adjusts the automaker's score for headquarters to .5 to account for half of the company's global headquarters operating outside the U.S. In 1994, the American Automobile Labeling Act went into effect. The law makes automakers display a label on all passenger vehicles sold in the U.S.A., and it must be placed in a “prominent location where it can be read from the exterior of the vehicle with the doors closed.” It may or may not be a part of the Monroney price information label or the fuel economy label. These are models that don't transport more than 12 people, and its weight rating can't go over 8,500 pounds. The label includes what percentage of the vehicle is made of U.S. and Canadian parts, the country it was assembled in, and the country that the engine and transmission were made. Final assembly information must include the city, state, and country when applicable. The AALA also requires automakers to report the name of any country supplying more than 15 percent of the vehicle's parts. Another way to see where it was assembled is the vehicle identification number or VIN. Cars and trucks that came off the assembly line in the U.S. begin with a 1, 4, or 5. The major issue with the AALA's list is that it combines data from America and Canada. This was done to appease influential auto industry players on both sides of the U.S.'s northern border. However, it doesn't give automakers with operations south of the border the same agreement. All countries other than Canada are considered foreign. 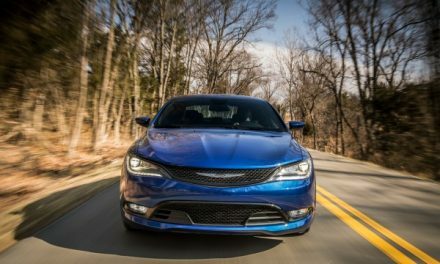 Here are the top ten vehicles according to the 2017 AALA. Starting in 2013, the American University's Kogod list uses the AALA figures as a starting point and follows the money to give the consumer more information about passenger vehicles made in the U.S.A. The index is compiled by an expert in global supply chain management, Associate Professor Frank DuBois. As mentioned briefly earlier, the Kogod Index uses a point system to decide which brands are the most American. The 2017 index lists 419 vehicles that are ranked from 1 to 90. It considers the automaker's profit margin, what country its engines and transmissions are from, and where final assembly takes place. To expand on the criteria DuBois uses to create the index, there are seven subcategories to which he assigns numerical values. After the headquarters, country of assembly, engine, and transmission, the rest of the vehicle's score comes from research and development (R&D), inventory, capital, and other expenses, and finally the body, chassis, and electrical components. Overall, the automaker with the most U.S.A. models was General Motors (GM.) 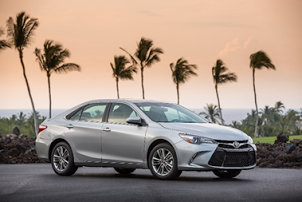 The second-oldest auto manufacturer in America had 15 vehicles with 75 percent TDC or more. The third list comes from the popular auto website, cars.com. The American Made Index (AMI) is in its 11th year. It factors in the vehicle's total sales along with the AALA and labor. Opponents of this list feel it offers a grading curve to cars and trucks with higher sales. The makers of the AMI explain that they use this figure to decide the labor portion of its index. Each sale supports a specific number of employees both directly and indirectly. Another big difference from the other two lists is Cars.com doesn't include any hybrids. This removes the Honda Accord Hybrid that still features a TDC of 70 percent, an American engine, and transmission, and its assembled entirely in the U.S. However, despite that difference, the list is open. For example, it puts the Taurus high on the list with less than 65 percent TDC and lists several foreign automakers. So, it's disconcerting that over the AMI's 11-year history, it went from over 60 vehicles to eight in 2016. For 2017, they had to change the criteria or only three would have made the AMI. On its own, each listing is imperfect. But, together they paint a picture of what cars, trucks, and SUV's are the most American made in a global economy. These vehicles are assembled in the U.S., and the engines and transmissions are American made. 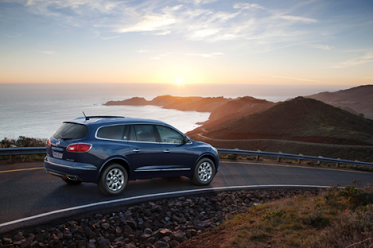 Manufactured 30 miles outside of Nashville in Spring Hill, Tennessee, the GMC Acadia is number one the Kogod School of Business's list with 85.5 percent total domestic content (TDC) and a U.S. headquarters. Unfortunately, the headquarters' location improves its score with Kogod, but it doesn't help on the AALA index. 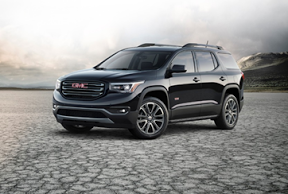 It lists the SUV lower on that list with 71 percent of the parts originating in the U.S./Canada. The forever-popular Ford F-150 comes off the assembly line in Dearborn, Michigan and Claycomo, Montana. It's number two on the Kogod Index. 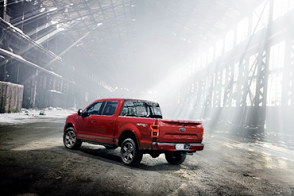 With Ford's headquarters is in the U.S., the light-duty F-Series pickup truck has a TDC of 85 percent and is just a step behind the Acadia on the AALA index with 70 percent of its parts are from the U.S./Canada. On the cars.com AMI, the lower AALA score also keeps it just shy of the top 5, leaving it at number 6. There are two Jeep Wranglers on the made in America list, and they both come off the assembly line in Toledo, Ohio. It has a TDC of 81.5 percent and 75 percent American/Canadian content according to the AALA. As mentioned, the Jeep loses a point for global headquarters. The Jeep Wrangler Unlimited is number one on the Cars.com AMI. All but one of the four Jeep models on the Kogod Index have the same AALA and TDC except for the Jeep Wrangler Sport 4 x 4, which is a slight step down with 74 percent on the AALA and 81 percent TDC. The Sport is number 5 on the Kogod list. 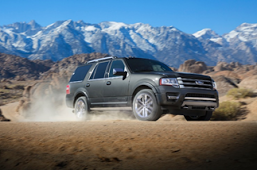 Hailing from Louisville, Kentucky, the Ford Expedition is number 5 on the Kogod Index. This full-size SUV has 62 percent U.S./Canadian parts on the AALA and 81 percent TDC according to the 2017 Kogod report. The AMI lists the Ford Expedition at number 7. 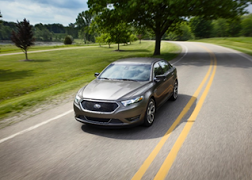 This popular four-door sedan is assembled in Chicago, Illinois by the Ford Motor Company and it ranks at three on Cars.com list and number six on the Kogod Index with 80.5 percent TDC. Although the Taurus is made in the U.S. with an American engine and transmission, the AALA U.S./Canadian content is only 61 percent, which is the lowest in the big 3's top 10. The Taurus is the third Ford on the list. The third Jeep on this list is the Cherokee. It was assembled in Toledo, Ohio until April 2017 and then the company moved production to Belvidere, Illinois. The FCA is a full-sized SUV with your choice of a 2.4-liter, 4-cylinder or a 3.2-liter V6 engine with a 9-speed automatic transmission that were all made in the U.S. The Jeep Cherokee uses 5 percent less American/Canadian parts with 70 percent on the AALA. As the act requires, 20 percent of its content is from Mexico. Built in Lincoln, Alabama alongside the Honda Pilot and Odyssey, the Ridgeline is number 5 on the Kogod School of Business's 2017 Index. The second truck on the list next to the F-150 has 75 percent of parts from the U.S./Canada and 79 percent TDC. It's a little higher on the AMI at number 4. 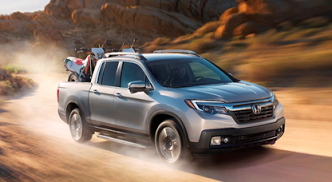 Also assembled at the Honda Plant in Lincoln, Alabama, the Pilot has 70 percent of content from the U.S. Like all the models on this list, the AALA lists its engine and transmission source as America. The Kogod Index shows the Pilot with 78.5 percent TDC. The SUV sits at number 9 on the Kogod Index and number 10 on the AMI. The Acura RDX is a compact luxury crossover SUV that's built in East Liberty, Ohio. It shares its manufacturing location with the Honda CR-V, which also ranks in the top 10 on the AALA and the Kogod Index. Both vehicles have 75 percent US/Canadian content, and the engine and transmission were made in the U.S.A. Note that with the Honda CR-V there are two models and one is assembled in Canada. To make sure you buy the correct model, always check the AALA sticker to verify. 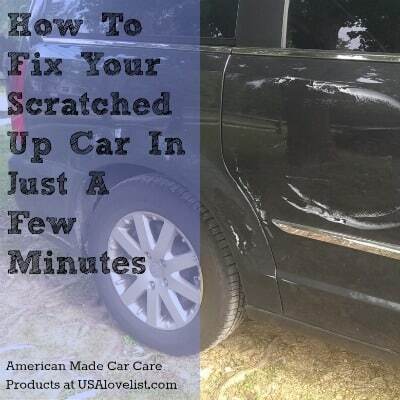 Over the years, we have reviewed many American made vehicles. 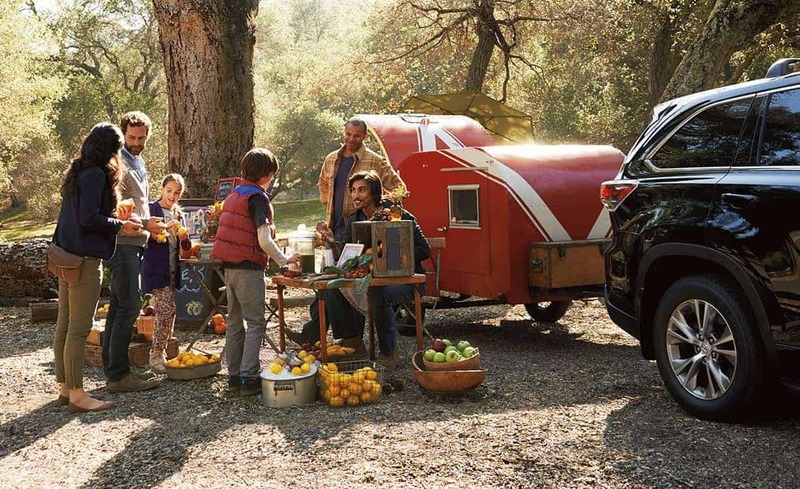 Read our reviews, especially if you are looking into a pre-owned vehicle. Are you shopping for a car now? Let us know what you are looking for in the comments! Christine Dantz is a freelance writer who covers a variety of topics including manufacturing in America, personal finance, technology and science. The graduate of Excelsior College in Albany, NY with a bachelor's degree in liberal studies lives in Upstate New York with her teenage son, husband, and the four cats that adopted her family over the past decade. I’ve never bought a truly brand new car, lol. They are just ‘new to me.’ Still, I’m always a little overwhelmed buying something big like this: it can be confusing trying to decide if it’s made in the U.S. (I mean, is it made here if parts are put together elsewhere & shipped back here, for instance?) So, truthfully, I just go looking for the best deal…& if it’s made in America, that’s a bonus. I dont think there are many things assembly line made that are totally American. I am in a John Deere town, I know they ourtsource a number of things, none are fully made in the plant anymore. I have never bought a brand new car, I buy used. Weren’t Saturns built in the USA? Yes! Saturns were built in the USA. My first new car was a Saturn sedan. Loved that car!! I still spot Saturns on the road even though they have not been made since 2010.